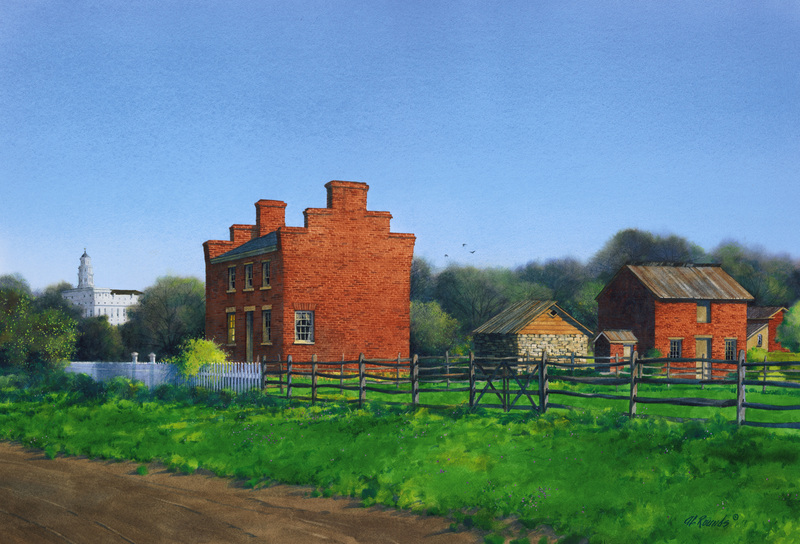 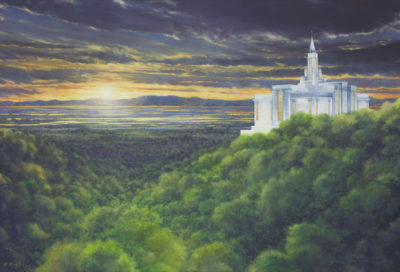 This painting portrays the Nauvoo, Illinois home of Lucy Mack Smith, mother of Joseph Smith. 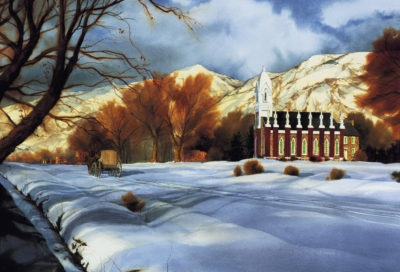 Lucy served as a leader and a mother for the early LDS church, never losing faith despite the deaths of her husband, four sons, four grandchildren, and two daughters-in-law. 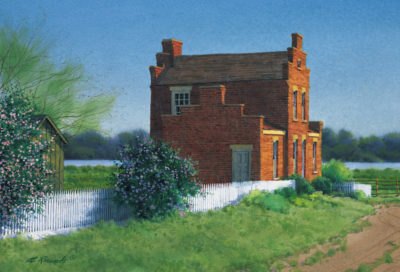 When she was unable to make the trek West due to her age, the piece shows the home where she spent her final years, dying here in 1856.